Every time I travel out to California to visit my doctor, or for personal reasons, I am always amazed at the different ways that greens are creatively used. It seems like stores like Whole Foods are lined with all different salads and yummy green "concoctions". I shared on the blog a couple of years ago about the abundance of Kale salads that I saw everywhere and the benefits of eating Kale HERE, but there is an additional green that I was first introduced to out in California that for the past year specifically I have worked to get into my diet on a regular basis that has incredible benefits and that is dandelions. Dandelions are known to be extremely rich in calcium which is helpful for the strength of bones and to help bones with age-related damage. What is amazing is that dandelions can actually contain 10 percent of the daily value needed of Calcium. But Calcium isn't just good for bone health. Calcium also is used in the body for muscle contraction, hormone secretion, nerve transmission, and blood clotting. And by consuming dandelions you will also help avoid muscle tension, tooth decay and high blood pressure. Dandelions help promote healthy digestion and help to balance the beneficial bacteria in the intestines. This can help increase the stomach acid and bile to aid in digestion. As I shared above this leafy green is known to help fight Cancer cells. Some studies are also showing that dandelion may slow Cancer's growth and prevent it from spreading. Dandelion is known to help treat inflammation because it contains essential fatty acids, antioxidants, and phyto-nutrients that all reduce inflammation throughout the body. By reducing inflammation in the body you can help to relieve pain and swelling. Studies have shown that Dandelion helps to boost the immune function in our bodies and helps to fight off microbes and fungi that exist. New studies are showing that dandelion helps to lower and control cholesterol levels. Dandelion is a light diuretic that helps the kidneys to clear out waste, salt, and excess water by increasing the urine production. Dandelions help to prevent microbial growth in the urinary tract system. Some studies show that consuming dandelions may help prevent cysts on reproductive organs. Dandelion has been shown to improve liver function by helping to remove toxins while re-establishing hydration and electrolyte balance. Vitamin A is known to play a crucial role in helping to maintain healthy vision, and can also help with neurological function, and healthy skin. Just one cup of dandelion greens is shown to have over 100% of the daily needed vitamin a dosage. Dandelions are a helpful source of iron and other vitamins. Iron is the integral part of the hemoglobin in the blood, but other vitamins and proteins are essential for the formation of healthy red blood cells. Dandelions help anemic people by keeping the formation healthy and strong and helping to support the body with needed iron. The sap of the dandelion in the stem is actually a really wonderful product for your skin! Dandelion sap is highly alkaline and it is known to have germicidal, insecticidal, and fungicidal properties that can be applied directly to your skin. What about you? 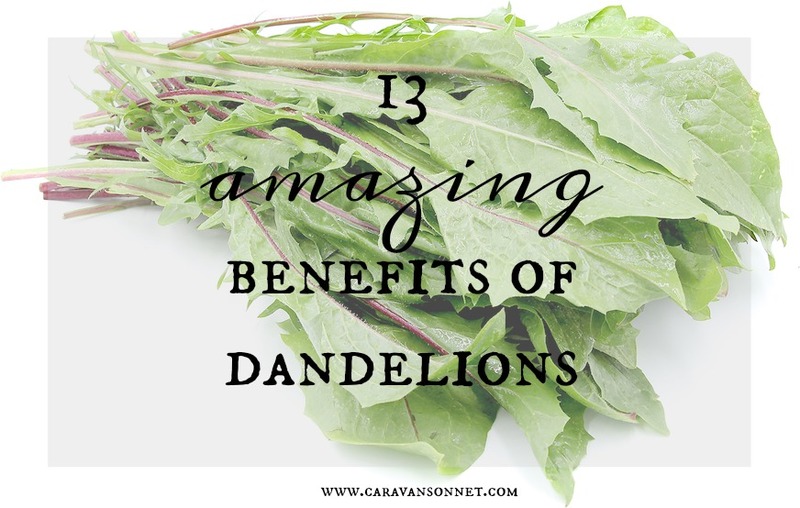 Have you found any amazing benefits or helpful from consuming Dandelions? Looking to include dandelions into your diet? Check out my post 9 Easy and Quick Ways to Include Dandelion Greens into Your Life by clicking HERE. Thank you so much for stopping by and for leaving a comment! It is delightful to connect with you here! I need to add dandelion tea into my regime. Is there a particular brand that you like the most? Hahaha. Friend, I laughed out loud at your comment. Please send the bunny food!! hahaha! !